We transform ideas into professional websites with remarkable interactivity that enhances the web surfing experiences. Our creativity and marketing insights enable us to assist our clients realize the potential of their business within the digital arena. Your website is at the heart of all marketing activities. You only have one chance to create a good first impression, so please do not blow it.Good web design is not just about aesthetics. It is all about helping the company achievebusiness purpose. And we are good at it. Our ecommerce websites are highly user-centric. This is to ensure that they provide efficient and intuitive user experience. A good user experience is fundamental to encourage transactions. Importantly, our e-commerce sites are also robust, scaleable and secure. A virus is something that grows exponentially in the right environment and this is exactly the point of 'viral marketing'. It takes your message and powerfully and quickly spreads it across the Internet, just like the age-old concept of "word-of-mouth", but in a digital context. Any marketer worth his salt knows that referrals and recommendations are the most powerful marketing instrument available. Viral marketing extends this into the digital domain by harnessing the electronic connectivity of individuals to spread your message. We can help you with the correct 'viral marketing' strategy into place. As your message spreads like a virus, rapidly multiplying, it will grow in exposure and influence. We can develop infectious viral marketing strategies eg contest, video focusing on building your brand image whilst creating a list of targeted prospects with whom your company can communicate. Viral marketing, also known as “creating a buzz” can unleash return on investment (ROI) that is out of your imagination. Apps are one of the most effective ways to unlock the full power of Facebook. Imagine the endless possibilities when your app, intranet, web, social networking site stay connected and integrated. We create apps that allow the deepest levels of engagement with users and at the same time, “socialise” with your iPhone app and web. With an existing social graph, it utilizes the connections that people have already built on Facebook with their friends, family and strangers. In addition to the freedom given by Facebook other than not bothering Facebook users who do not want to use the application, our developers often comes up with ideas that wow our customers. Ultimately, we aim to integrate your business into the core of Facebook experience. Coupled with Facebook advertising, we help to unleash the huge viral marketing potential. 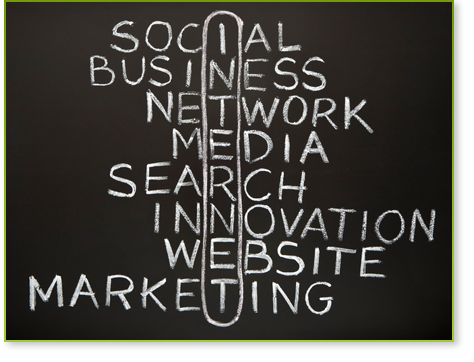 Find out more about Social Media Marketing. Our web copywriters know the importance of combining the art of writing with an in-depth understanding of search engines. To have good content online, we target both search engines and website visitors. Writing for the web is completely different from writing for print advertisements. We understand how readers absorb website content and that is different from reading print media. We create persuasive content to breed “stickiness”. Unicom Interactive is a Singapore-based creative digital agency. We are strategists and tech enthusiasts all roofed under one company. We work hard and smart to come up with the most result-focused solution for your every digital need. We count our lucky stars for having so many referrals since we started the company. There must be a reason. © 2019 Unicom Interactive - All rights reserved.